Why PS5 launching in 2018 may not be happening. The console generation is likely dead. Between the PS4 Pro, the Xbox Scorpio and the One S (not to mention discount-priced older SKUs), the idea of having discrete, generational leaps in console capabilities is perhaps no more valid. What does this actually mean for gaming? On the one hand, iterative generations make things a lot easier for developers—there’s no need to learn an entirely new workflow every five years or so—it just becomes a matter of scaling up (or scaling down) your existing work. Moreover, iterative console development puts consoles on a similar track to other hardware—things now work much the same as they do in the PC and mobile spaces—you get a device that will cater to your basic needs in the long term, but won’t always offer the latest bells and whistles. On the other hand, iterative consoles have the potential to bringing technological progress in games to a slow halt. Apart from the fact that many of them run worse (we’re looking at you, Mass Effect: Andromeda), just how many titles from 2017 genuinely look better than titles from 2014? But it’s not just about the visuals. Going through my backlog of overlooked seventh-gen titles, what really struck me was just how little fundamental gameplay loops have changed. It’s hard to believe that Quake and Crysis are separated by hardly more than a decade, when, ten years on, the majority of AAA releases still struggle to outdo Crytek’s finest, whether in terms of raw visuals or in terms of emergent gameplay. Iterative console generations aren’t going to help in this respect and, with the exception of a handful of PC-centric titles like Star Citizen, progress has evidently flatlined. Analysts have, however, already started projecting the launch of the PS5 (if that’s what it is to be called), in 2018. Considering that the PS4 Pro is really just a PS4 that runs games at higher resolutions, what would a prospective PS5 deliver in terms of the experience? And, with an Q3/Q4 2018 launch timeframe, what kind of hardware would we be looking at? Damian Thong, over at Macquarie Research, believes that a hypothetical 2018 Playstation will pack a GPU with 10 Teraflops of compute power. For starters, is a 10 Teraflop PS5 even viable within the time frame we’re talking about? Assuming that Sony contracts out to AMD again, the situation is, well, dicey. The thing is, AMD doesn’t currently offer a single GPU product with greater 10 Teraflops of compute. Vega is very close to launch, but we’re still looking at a June-July timeframe. We’re talking about a flagship card that doesn’t, at least for the moment, even exist. Going by AMD’s own roadmap, Navi may or may not happen in 2018 in the PC space, meaning that variants of Vega will continue to be the highest-performing AMD graphics offerings that year. While it’d be fantastic news, we just don’t see a console manufacturer sticking a $500-plus flagship part into a console and then sell it at reasonable rates. And let’s not even get started on power consumption. It is highly unlikely that Sony will make use of a relatively new flagship part to power a 2018 PS5, as this would completely fly in the face of their recent business decisions–both the PS4 and the Pro are largely based on midrange, off-the-shelf hardware. Off-the-shelf Vega would be a significant cost centre and would likely push the console’s price above that of the Xbox Scorpio. A custom solution is even worse, because additional R&D costs become embedded in the total. Even then, we’re only talking about the GPU side of things. If the PS5 is to be a generational upgrade, it needs to be capable of more than just slightly better eye candy slapped on top of the same gameplay. For deeper simulation, better AI and physics, a faster processor is key. We’d say that Ryzen is a very likely bet for a hypothetical PS5 CPU. However, the key factor again is timing. Ryzen is still new. And Ryzen is still (relatively) expensive. Sony would need to keep its bill of materials in the $400-500 range if it wants to sell a hypothetical PS5 at a somewhat mainstream price-point. 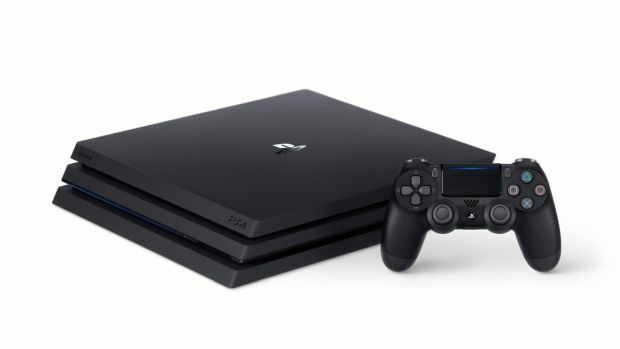 The main reason that current consoles have such weak processors is budgetary constraints–last-gen consoles were sold at a loss to ensure that they packed powerful hardware, but that isn’t the business model Sony is currently following. While the Xbox Scorpio will put significant pressure on Sony, what the PS4 Pro has demonstrated is that people aren’t necessarily looking for native 4K experiences. Whatever you have to say about checkerboard rendering and dynamic resolutions (and we do have a lot to say on those), at the end of the day, the Pro’s “4K” image quality is largely good enough for the majority of 4K TV owners–it is noticeably better than 1080p output at least. 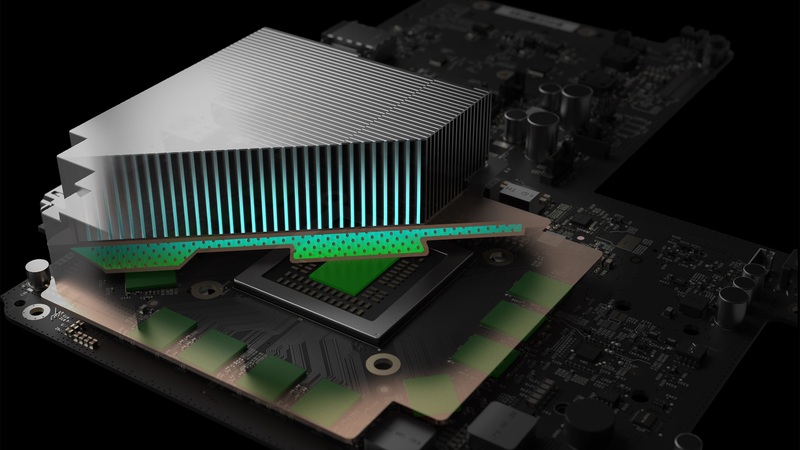 Irrespective of the Xbox Scorpio’s considerable hardware advantage, if it ends up running the very same multiplats, it remains to be seen as to whether or not it’ll offer an easily discernible advantage over the Pro, at least from the average customer’s point of view. Scorpio and the PS4 Pro are most certainly going to be running the very same multiplats. Sony doesn’t need to one-up Microsoft next year with a console. If it does, it risks alienating a good chunk of the Playstation audience: Pro owners who will feel shortchanged for their purchase, and PS4 owners who are now in for premature obsolescence. While analysts are in the crystal ball-gazing business, this is one prediction we’re just not very hot about. Apart from the confusion of having to support three Playstation models at once, a new console next year would cost money and it’d be a big risk in a market that’s already occupied by the Pro and in the future, possibly by Xbox Scorpio. We don’t doubt that there will be a PS5 (There probably won’t be a PS6 because of the rise of cloud game streaming, but that’s another matter). It’s just the timeframe we’re leery about. 2018 will be a year for Scorpio and PS4 Pro. And, of course, high-powered PCs.